Colorado Living at its Absolute Best! Spectacular Home on Large Cul-De-Sac Lot in a Spectacular Setting! Can You Say Hoodoo! WOW! Desirable Discovery Area! Stucco Exterior! Three-year new Class 4 Impact Resistant Roof! Open floor plan! Custom upgrades T/O! Energy-Saving Vinyl Windows T/O! Large custom front composite deck for enjoying those cool Colorado evenings! 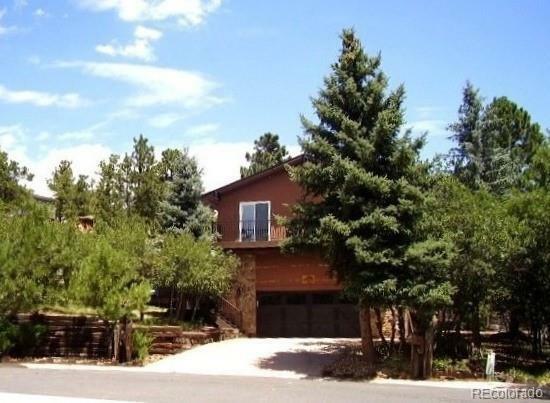 The fenced, private rear grounds include mature scrub oak, huge pines, veggie garden, gazebo, tiered patio & massive hoodoos! Another big WOW! ***Extras: 5 ceiling fans, skylight, custom lighting fixtures T/O, whole house water filtering system, over-size two-car garage w/attic storage. ***What more could you want! Truly an exceptional home and a very rare find, indeed! Make this your home, today!